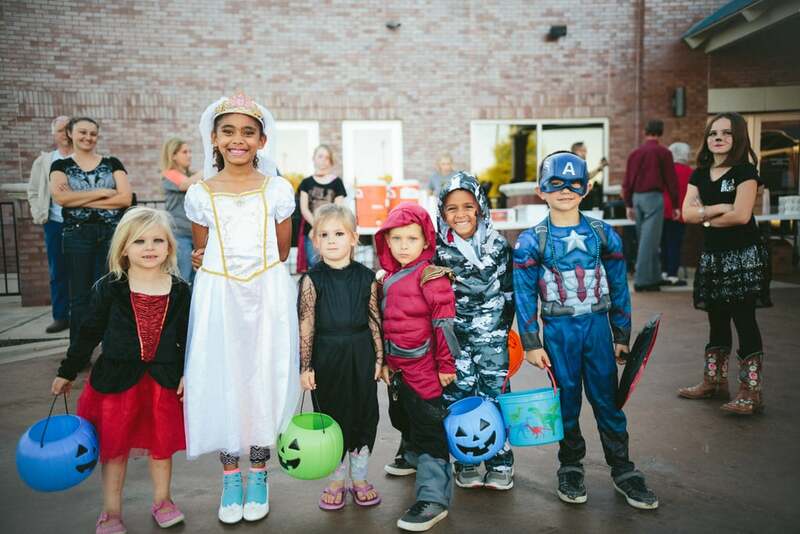 Follow these Halloween safety tips to help avoid common accidents and dangers. Trick or treat can be safer – not to mention more fun – when done in groups, and adult supervision is essential. Get together with other adults and make an evening of it. Bring cellphones for quick pictures and emergencies but leave them in your pockets to avoid getting distracted. The thrill of the holiday often factors into accidents as excited kids rush from door to door. Keep children on the sidewalks, and shepherd them carefully when they need to cross the road. In areas without sidewalks, walk on the far edge of the road, facing traffic. Check candy for choking hazards like gum and hard candies. Throw away any candy that is not sealed with a wrapper and avoid homemade treats received from strangers. When selecting a costume, opt for the bright-colored outfits and add a touch of reflective tape to the material. Stick some reflective tape on their trick-or-treat bags as well so they can be easily spotted by motorists. Lastly, don’t forget to make sure they’re equipped with a flashlight or glow stick – must-have accessories for any costume. If makeup is a part of your child’s Halloween costume plans, make sure it is non-toxic and test it on a small area first. Before your child goes to bed, make sure to remove all makeup. Young children can paint or color their pumpkins instead of carving. Or have them draw a face with markers and an adult can do the carving. Use colorful glow sticks inside your Jack-o-lanterns instead of candles to prevent burns. If you’re turning your home into a haunted house, keep safety in mind: make sure steps, sidewalks, porches and paths are well-lit and free of decorations and holiday props. Keep decorations away from fireplaces and candles.